Eleven years ago today I was sitting in my international politics class when the first plane crashed into the World Trade Center. My professor kept lecturing thinking it wasn’t anything to stop for until the second plane hit. With the Center for Disease Control located on our campus in Atlanta, all classes were canceled. Some of the residence halls were evacuated. The skyscraper I worked in was closed for two days. Even hundreds of miles away from New York City, we still felt the resounding boom of those buildings collapsing as our lives changed forever. On the anniversary of that tragic day, I remember the ones our nation lost, the heroes who put their lives on the line, the outpouring of love that was felt from around the world, and the goodness that prevailed over the evil that was done. 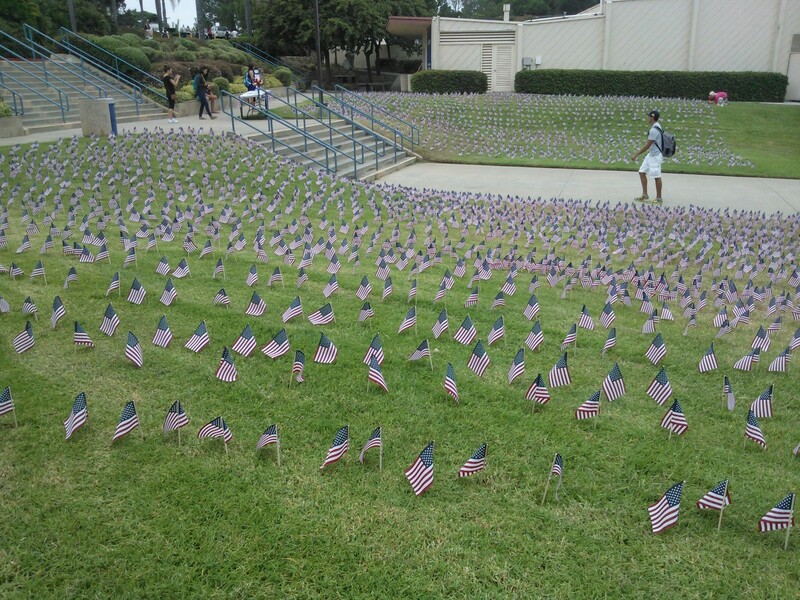 PLNU remembers the victims of that tragic day with flags for each life lost. This entry was posted in Worldly Events and tagged 9/11, Memorial, Remembering, United States on September 11, 2012 by eliseblalock.